Rashid Talukdar is considered by many as the quintessential photojournalist of our country. His images of the Liberation War of 1971 have become so iconic that they are now among the lasting monuments of war. His photographs vividly document the atrocities of 1971, telling stories of pain, struggle and death, but also of hope, courage and love. “I fought the battle not with arms, but with my hands. My camera was my weapon of choice,” said Talukdar once about his photographs. Indeed, his crisp, fluid black and white images of the 1969 uprising of East Pakistan, the non-cooperation movement, Bangabandhu's historic speech on 7th March and the Liberation War are more powerful than any bullet he could have used to fight the occupying Pakistan army. Talukdar was an incredibly talented and insightful photojournalist. To all those familiar with his work, he was much more than just a photographer – he was a storyteller, a historian and an artist; his photographs can simultaneously serve as narratives, historical artefacts and works of art. 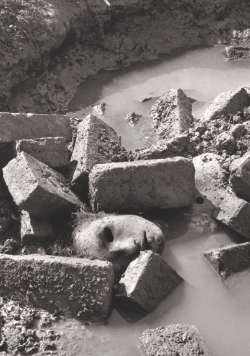 Although most famous for his celebrated images of the Liberation War, Talukdar's unique interpretations of everyday lives and situations are also memorable. Talukdar believed that a photojournalist must have a “third eye” that allows him/her to look beyond the obvious and the mundane, to see things others cannot. It was his “third eye” that enabled him to capture invaluable snippets of the past and the present and won him the love, respect and admiration of people around the world. Rashid Talukdar was born on October 24, 1939, in Chabbish Pargana, West Bengal, India. He became fascinated with photography at a very early age. When most boys his age were playing cricket on the fields and memorising timetables, Talukdar was busy working as an assistant in Star Studio under Motahar Hossain in Rajshahi. His father, Abdul Karim Talukdar, was severely disappointed when he learnt that his son wanted to work in a studio, thinking it unbefitting for a young boy from a decent family. However, Talukdar was always at ease with the fact that he had started his career not as a photographer working in the darkroom, but as an apprentice making tea for the darkroom team. Talukdar joined the Press Information Department in 1959 as a photo technician. In 1962, he became a photojournalist for the Daily Sangbad, where he worked for 14 years. He then joined the Daily Ittefaq and worked there for 29 years. Back in the days, being a photojournalist was no easy task. Photojournalists weren't accorded the same respect as photographers or journalists. In the newsrooms, photojournalists were forced to take a backseat while editors, who often had no background or knowledge on photography, made the executive decisions. Despite his obvious talents, Talukdar felt the hierarchy within a newspaper. He felt the hierarchy outside of the newspaper, too, as photographers scoffed at photojournalists for not being artistic and independent enough. But he was not a person to be disheartened by power plays and petty competition. He soon became a pioneer photojournalist who, in many ways, defined the field for the next few generations of photojournalists. Talukdar has received around 77 awards at home and abroad. He was given an honorary fellowship from Bangladesh Photographic Society in 1992. In 2006, Talukder received a Lifetime Achievement Award at Chobi Mela IV, International Festival of Photography, Dhaka, Bangladesh, 2006 for his contribution to photography. In 2010, he received the Pioneer Photographer Award in National Geographic's All Roads Photography Programme. He was the first Bangladeshi to ever win the prestigious award. His photographs have been published in illustrious books and magazines, including the East Asia Encyclopedia, New Internationalist, Saudi Aramco and Himal. 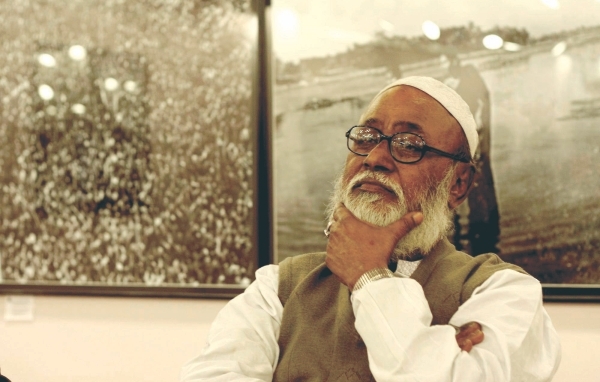 He was a member of the advisory council of the Bangladesh Photographic Society and several other photographic societies, and the founder member of the Bangladesh Photo-Journalists Association. Talukder was also a founder board member of Pathshala, South Asian Media Academy and a contributing photographer to majorityworld.com. Despite the many awards he won, he wasn't always recognised or appreciated by the public. As Shahidul Alam, prominent photographer, writer and activist, writes in his tribute to Rashid Talukdar: “Sure they praised him, and patted him on the back condescendingly on appropriate occasions, but he had never been given the professional respect that he deserved. The Ekushey Padak, the award given in memory of the language martyrs had never been given to the man who had done the most to enshrine that memory. Even upon Rashid Bhai's death, the newspapers that wanted to publish his pictures, wanted them for free. “We'll provide a credit line” they'd say, knowing the family still had outstanding medical bills to pay.” Talukdar's images have often been usurped as public property, and used and misused by many people who have refused to give him proper credit. Talukdar was a passionate, down-to-earth, charming and benevolent person. Loved, admired and respected in life, Talukdar will be greatly missed in death, as his family and friends grieve the death of a caring and compassionate man, and the country mourns the passing away of one of its most prominent photographers. Talukdar saw the world through his camera, and what he saw and captured in his camera was moulded by his insightful perspective on life. The photographs he left behind are incomparable national treasures. We hope that his kind and brilliant soul rests in peace.